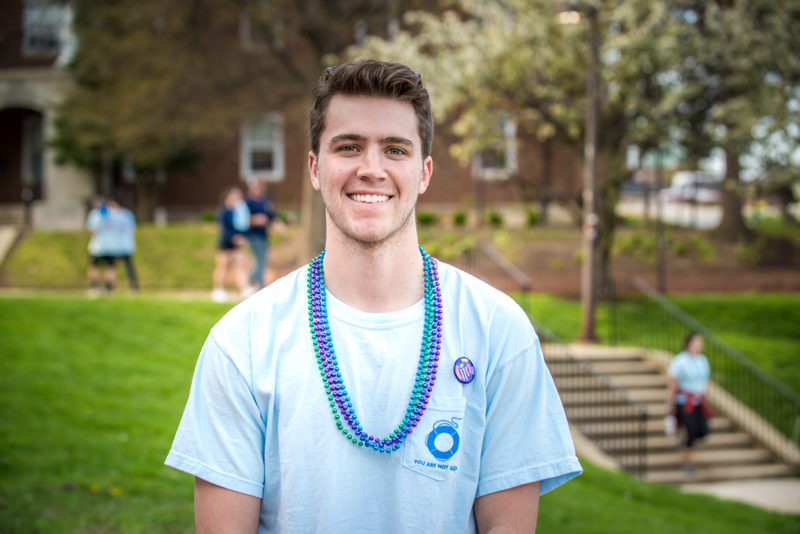 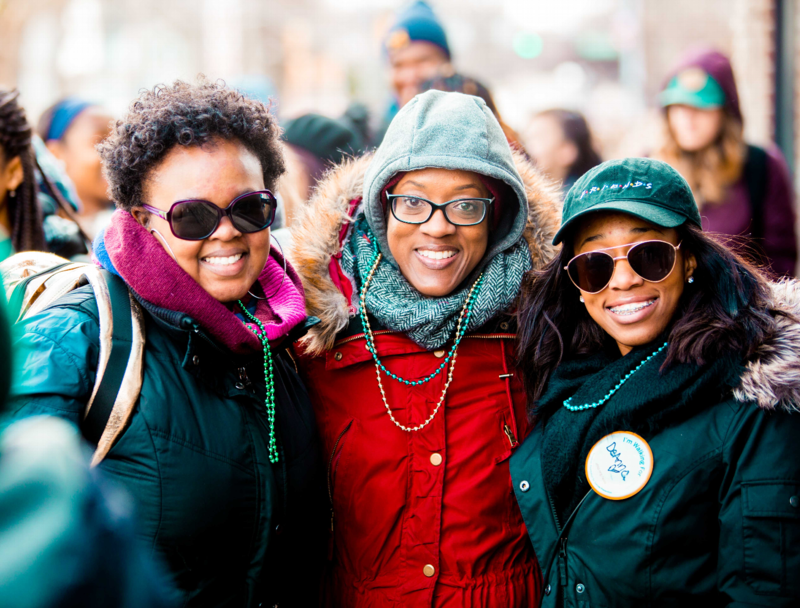 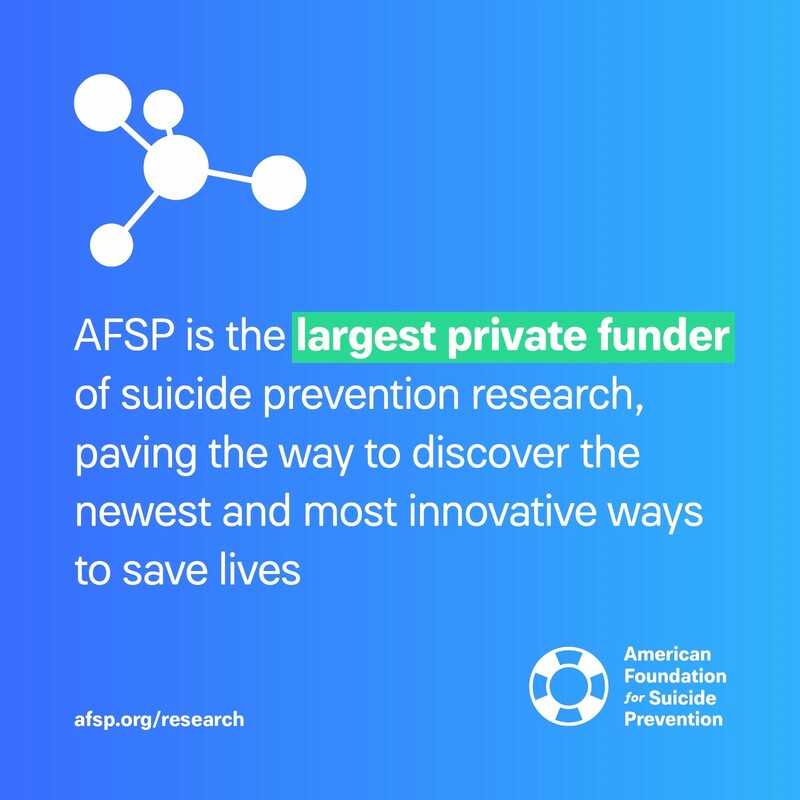 Suicide is the 2nd leading cause of death among ages 15 - 34 in the U.S.
Fundraising will help fund research to improve interventions, train clinicians in suicide prevention, and advocate for policy that will save lives. 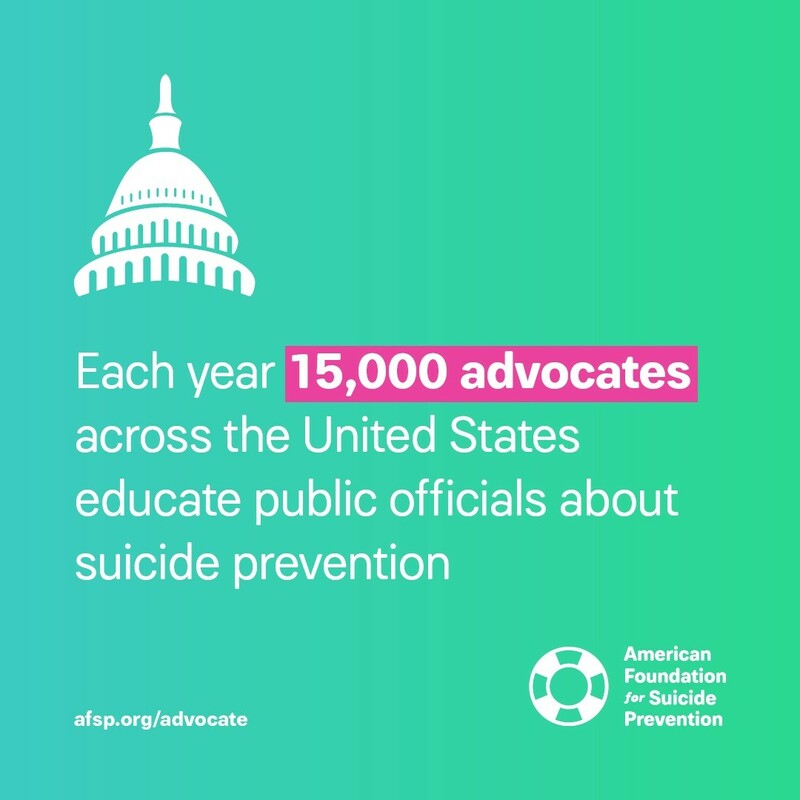 Suicide prevention cannot happen without the programs that will educate and train the public on seeking help and knowing the signs. 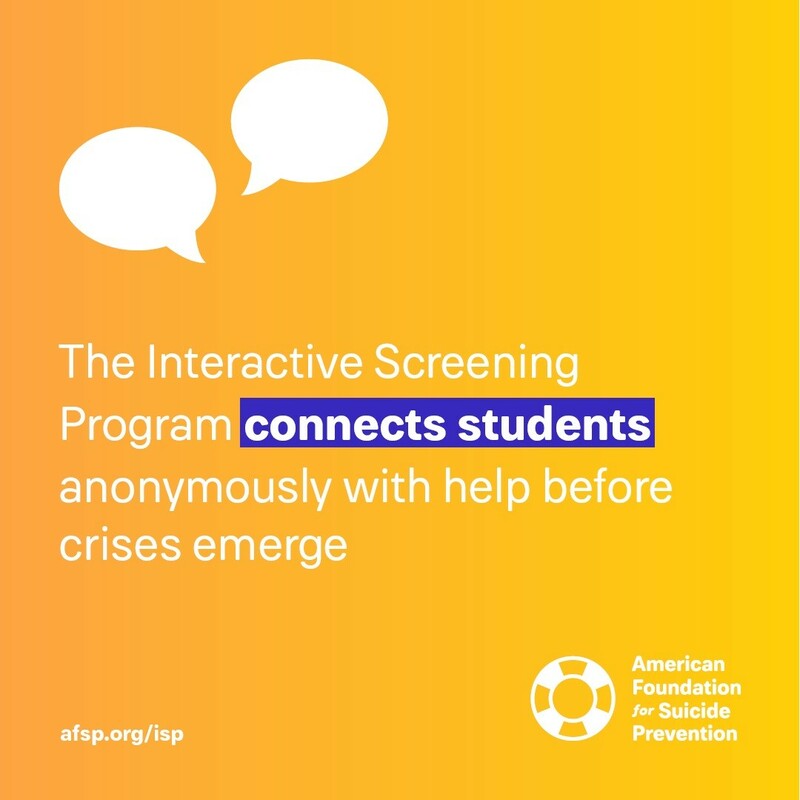 Fundraising will bring AFSP's educational programs and Interactive Screening Program to local schools and communities. 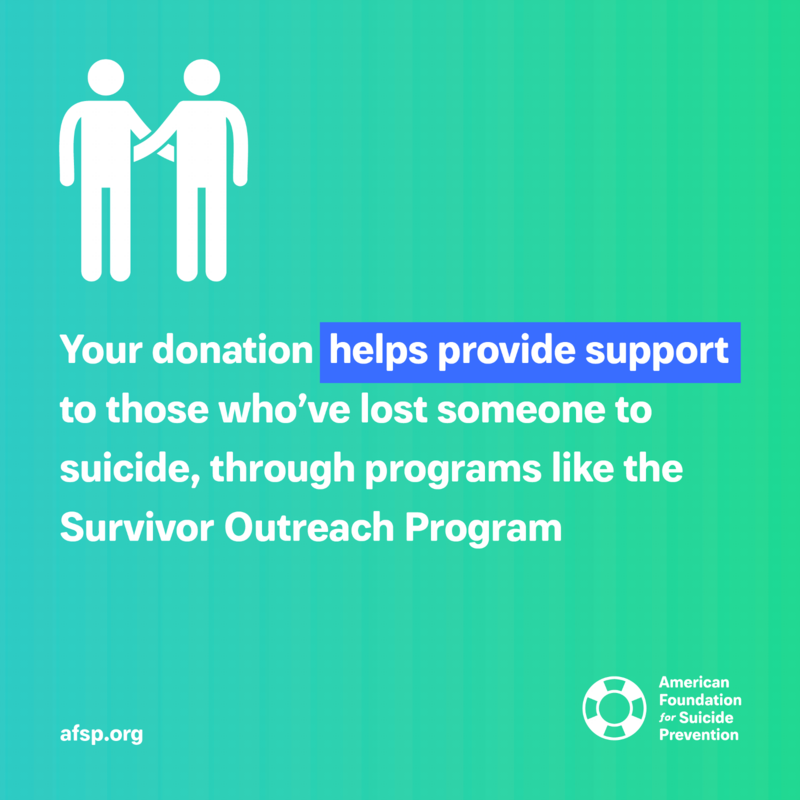 Whether you have lost someone or are struggling with suicidal thinking - you are not alone. 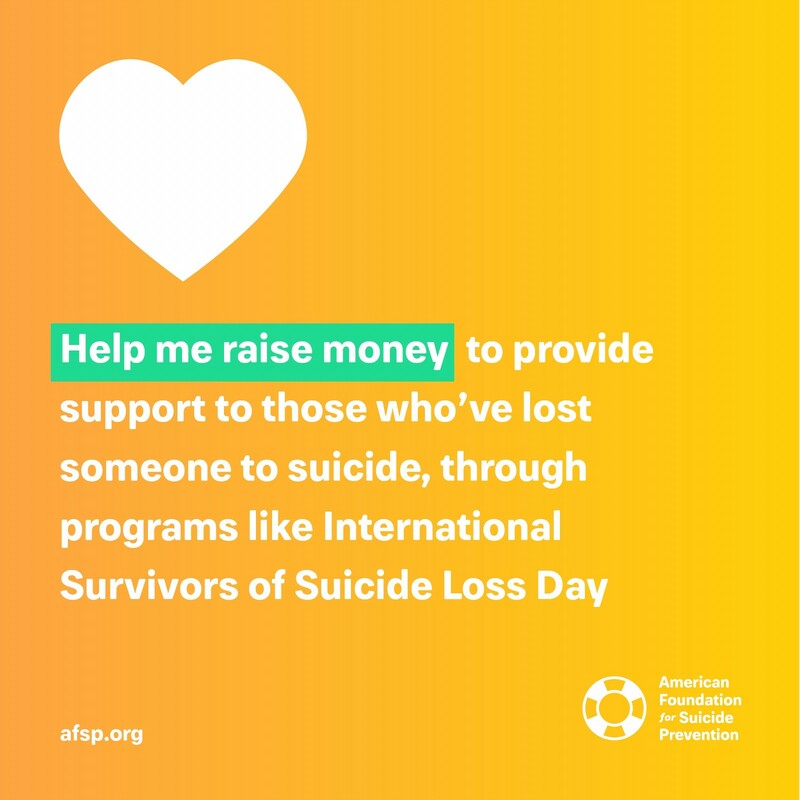 Fundraising will bring AFSP's loss and healing and educational programs to those who have been affected by suicide. 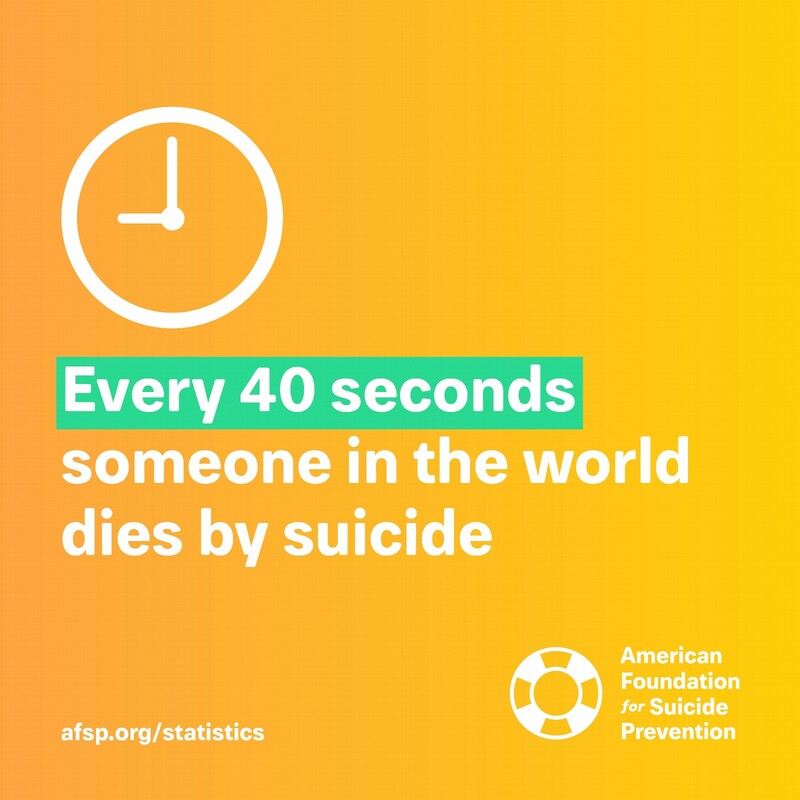 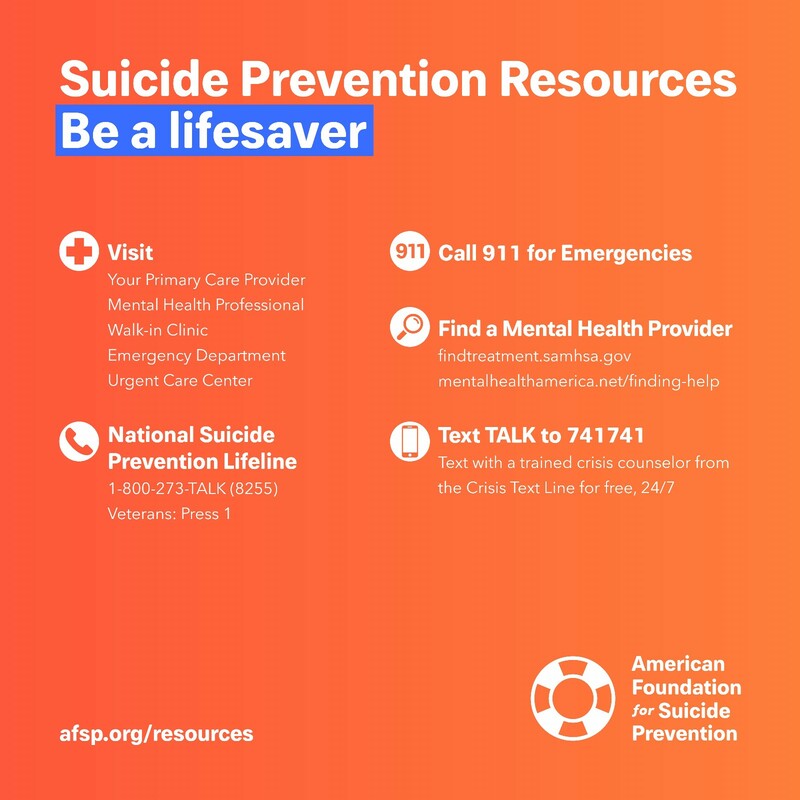 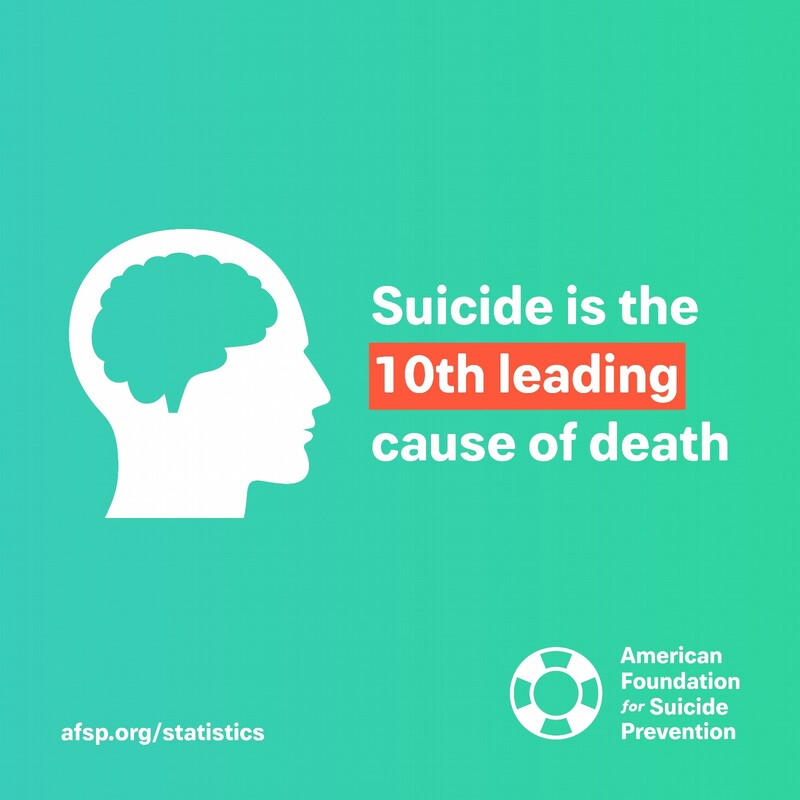 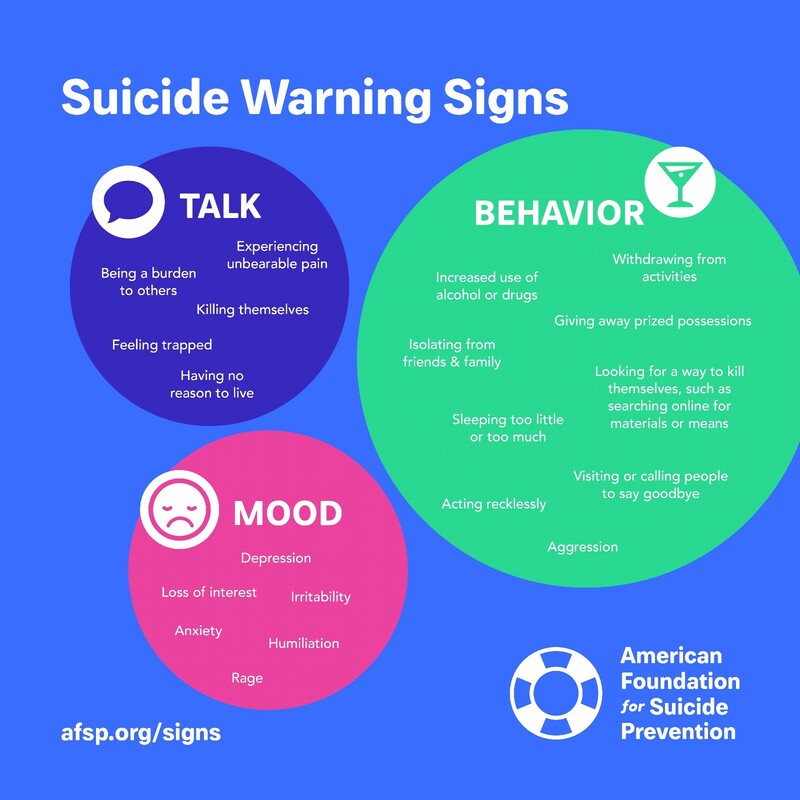 *AFSP's latest data on suicide are taken from the Centers for Disease Control and Prevention (CDC) Data & Statistics Fatal Injury Report for 2015.